Countless people from all walks of life in the United States have sustained personal injuries in accidents caused by the negligence of others. They’ve relied on personal injury attorneys to help them win the compensation they needed and the opportunity to rebuild their lives after suffering a serious personal injury. Personal injury attorneys fight on behalf of innocent victims and hold negligent parties accountable. In fact, if you or someone you know in Southern California has been injured by someone else’s negligence, you should speak about it with an experienced Los Angeles or Pasadena personal injury attorney. Typically, when someone is injured, medical costs and related expenses start piling up while the victim is unable to work. Unless the injury happened at the job and is covered by workers’ compensation, there may be no money coming into the household, and many families can face financial hardship in just several weeks. A personal injury attorney can work with a client to obtain compensation for current and future medical expenses and lost wages, pain and suffering, emotional distress, and loss of the “enjoyment of life.” Personal injury lawyers also protect clients from the questionable and sometimes illegal practices of insurance companies. 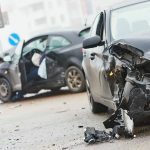 Automobile collisions generate the most personal injury claims, but whenever someone is injured because someone else was negligent, in California the injured party is entitled by law to compensation – if the plaintiff can prove that he or she was injured and can also prove that the defendant’s negligence is the reason why. This includes all types of personal injury scenarios, from slipping on a wet floor in a supermarket – or a puddle in a parking lot – to a dog bite, an injury caused by a defective consumer product, or an incident of dental or medical malpractice. The best personal injury attorneys go to work immediately. Time is of the essence in a personal injury case because evidence deteriorates or disappears, and witnesses become forgetful or disappear. A personal injury lawyer explains to each client how the law applies in each particular case, examines the evidence, and negotiates on the client’s behalf. Most personal injury cases are settled out-of-court. Personal injury lawyers are trained negotiators who know what it takes to prevail. If an out-of-court settlement is unavailable in a personal injury case, an attorney should be fully prepared to take the claim to a courtroom and argue on the client’s behalf in front of a judge and/or a jury. There are more than a million attorneys practicing in the United States today, and more than 185,000 right here in California. 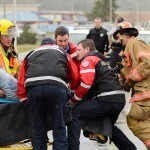 When someone is injured by negligence, what’s the best way to find the right personal injury lawyer? What should an injury victim look for? WHAT HAPPENS AT AN INITIAL LEGAL CONSULTATION? After doing some online research and speaking to people you know and respect, narrow your list of lawyers to three or five. 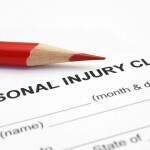 Many personal injury attorneys offer a free initial consultation. The attorney will hear your side of the story, and if your personal injury claim is legitimate and provable, the attorney may offer to accept the case, at least provisionally. The consultation is also your opportunity to meet personally and size up an attorney for yourself. If the lawyer doesn’t really seem to be listening or interested, or if you’re uncomfortable for any reason or even for no particular reason, talk to another attorney. A great track record. The most important thing is winning, and the best personal injury lawyers win consistently. Generally positive reviews, endorsements, ratings, and testimonials from former clients. A personal injury attorney or must be relentless and tenacious, willing to dig in aggressively to a case to win every cent that a client deserves. Compassion is imperative. While an attorney must be aggressive in negotiations or in court, the best attorneys genuinely care about their clients, about their communities, and about justice. If an attorney is involved with local charities or activities like youth sports, that’s a good sign. Whether your attorney works for a large firm or alone with just one or two assistants, a helpful and friendly staff is also a good sign that the practice runs smoothly and professionally. Finally, you need an attorney who handles your case and works with you personally from start to finish. In some firms, personal injury claims are transferred – sometimes more than once – to a second or third attorney. It’s hard to get comfortable with a constantly changing face. 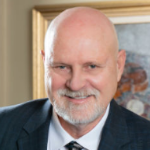 About Yelp and Avvo, Attorney Walker cautions, “be careful, however, because there’s more than meets the eye.” Unfortunately, some attorneys, and some of the people who work for attorneys, have in the past posted fake reviews and bogus endorsements. If you locate an attorney through Avvo or Yelp, it’s probably wisest to verify independently the information provided about that attorney. ARE THERE REALLY “TOO MANY” LAWYERS? Although the conventional wisdom holds that there are “too many lawyers,” another law – the law of supply and demand – means that the lawyers who are without clients are quickly out of work. An abundance of lawyers to choose from may seem a little overwhelming at first – especially for anyone trying to recover from a serious personal injury – but in Southern California, that abundance allows you to choose a Los Angeles or Pasadena personal injury attorney who is just right for you. 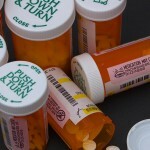 Anyone who has been injured by someone else’s negligence is entitled under California law to full compensation for all injury-related medical expenses, lost wages, and all other losses and damages arising from the accident and injury – if you can prove that you were injured by a defendant’s negligence. Don’t hesitate to stand up for your rights if you’ve been injured. It’s the right thing to do.